Copying content from one PC to another used to feel like a chore, but with the proliferation of solid-state drives and updated USB standards, transferring gigabytes of data has become child's play. But there are still plenty of consumers clinging to mechanical drives that serve a basic purpose for an insignificant fee. 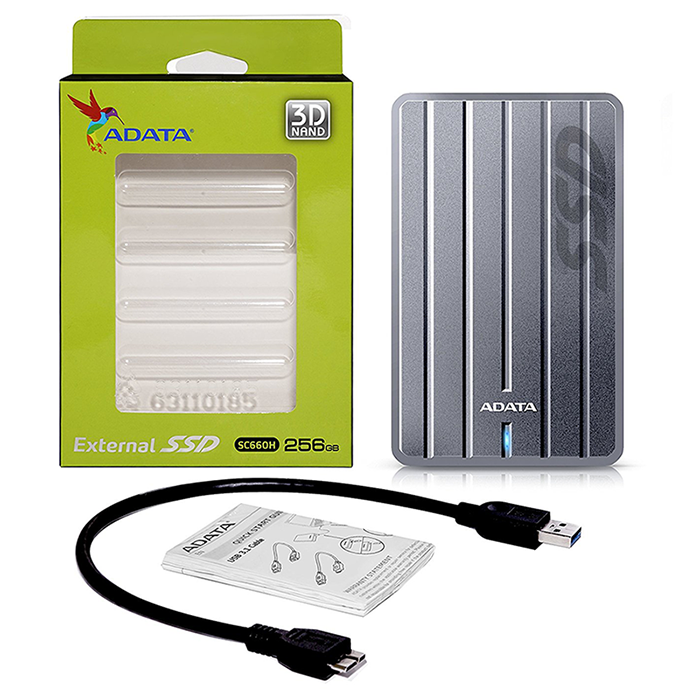 Adata is hoping to lure such users with a refreshed range of external SSDs that includes the sleek, stylish and fast SC660H. Available in a choice of 256GB and 512GB capacities priced at £100 and £180, respectively, the SC660H carries a considerable premium over traditional hard disks but introduces an array of benefits that go some way toward justifying a cost of at least 35p per gigabyte. For comparison's sake, external hard disks tend to offer greater capacities with per-gigabyte pricing typically as low as 4p. 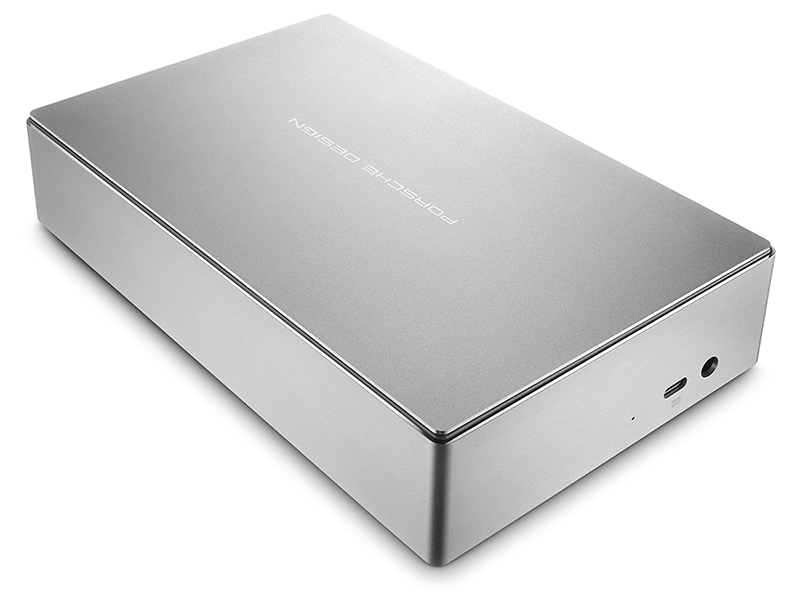 But if capacity isn't paramount and the budget permits, an external SSD has plenty of plus points. 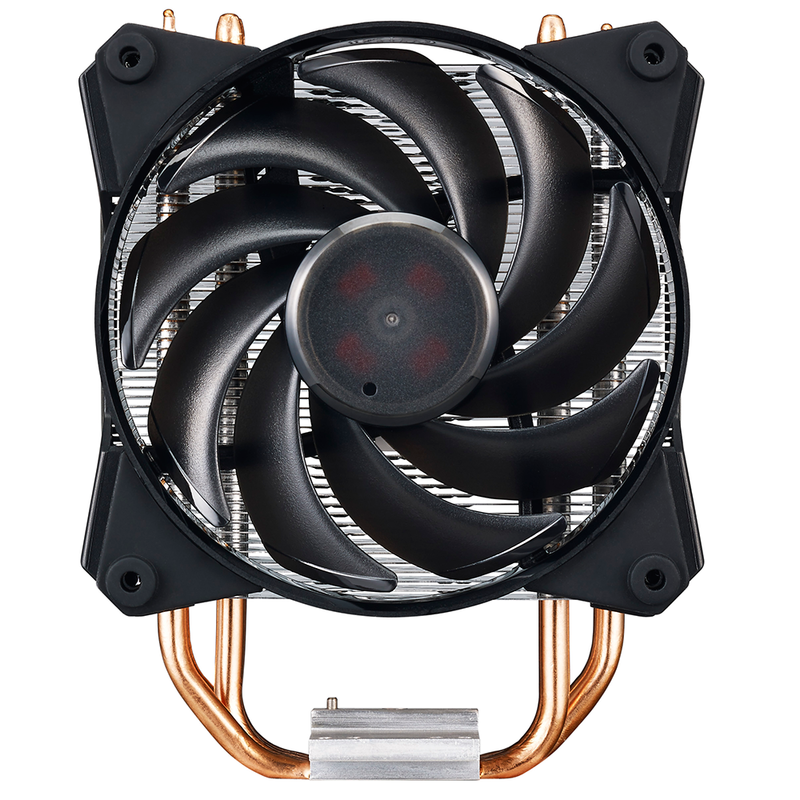 Adata's SC660H measures just 120mm x 76mm x 9.6mm, making it svelte enough to slip inside a pocket, and a 73g weight makes it light enough to go unnoticed. In fact, you could argue that it is almost too light - the unit feels hollow in the hand and comes across as fragile and plasticky. 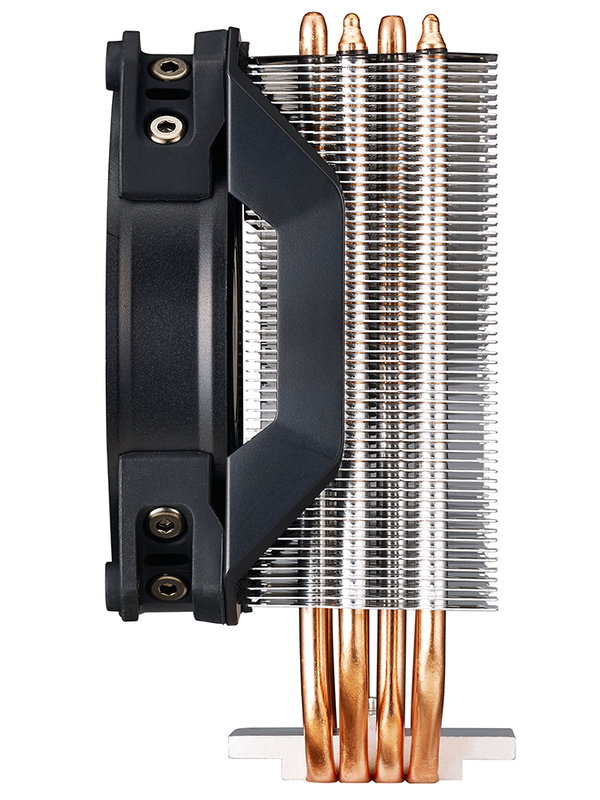 Nevertheless, Adata's sandblasted and grooved silver cover does a grand job of repelling fingerprints, while the absence of moving parts results in silent operation and greater resilience to shock or vibration. Keeping the drive free from clutter, there's a solitary blue activity LED on the front, while the USB 3.1 port is positioned centrally on the bottom edge. There's nothing of note in the bundle bar a USB 3.1 Type-A cable, and though it's a shame not to see a Type-C cable also included as standard, we like the fact that Adata backs the drive with a three-year warranty. What about performance? Well, Adata officially quotes read and write speeds of up to 440MB/s and 430MB/s, respectively, and given the drive's use of 3D (stacked) TLC Flash, we suspect the internal memory and controller configuration will be similar to that of the company's SU800 internal drive. 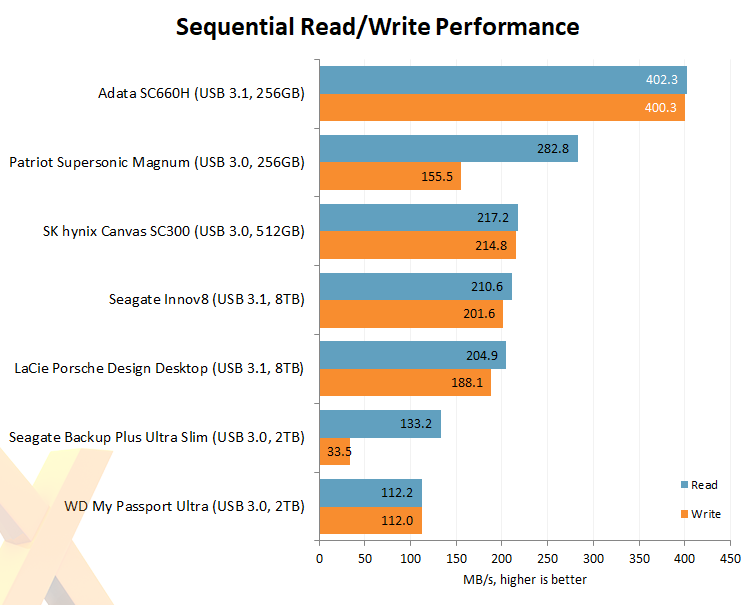 A simple test of sequential read and write test helps shed some light on what an array of external drives can achieve. 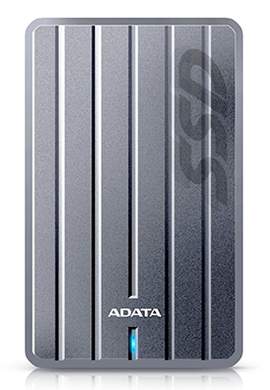 As the SSD-based solution, it's no surprise to find the Adata SC660H slotting-in at the top of the chart with useful speeds just north of 400MB/s.